Self-intuitive Cloud-based Centralized Listing, Inventory & Order Management platform to any of online marketplaces like Amazon, eBay, FlipKart, Etsy and many more around the world. List all imported products to any other multiple channels with one simple “click” integration. No matter whether it is eBay Listing, Amazon Listing, Flipkart Listing or other channel listing, the process is just one click away. Also, Schedule when you want your listings to go live. 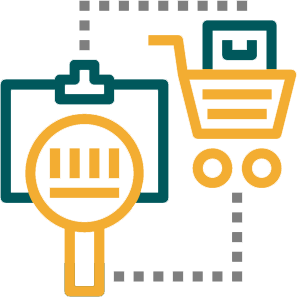 This Multichannel Product Management platform does Real time stock synchronization across all sales channels. Stock level alerts to help keep track of your most successful product on sale that helps restock. All your inventory and order data are backed up, synced, and secure in the cloud. This would help a better and easy selling on Amazon, selling on eBay, Selling on Flipkart and other channels as well. 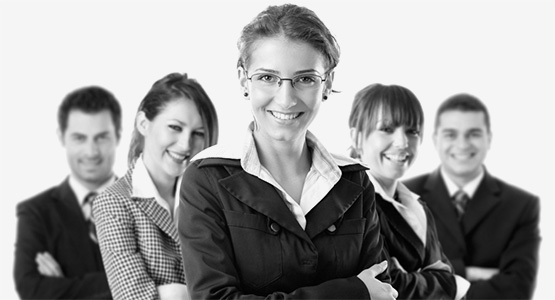 KartzHub integrates with top end accounting software’s, which helps online sellers to watch their P&L closely. Integrates multiple channel (like eBay integration, Amazon Integration), order invoices and accounting with one simple “click”. Intelligent reports generating the stock levels, tracking sales as per the demand. KartzHub is a powerful dashboard which can help online sellers to monitor their demand & supply. Get the access of Amazon’s MultiChannel Fulfillment through KartzHub. KartzHub ensures that you automatically assign all Orders from Multiple Channels to FBA with one simple “click”. Our auto MCF integration accelerates eCommerce order management and fulfillment by helping you pick, process and ship all your online orders from one central location. Process orders as they come through, individually or in bulk. Print branded invoices and labels for your orders. Save time by managing your orders from one single view. KartzHub integrates with world class shipping couriers. KartzHub ensures on-time delivery of each and every product with one simple “click”. Our shipping integration accelerates eCommerce order management and fulfillment by helping you pick, process and ship all your online orders from one central location. KartzHub integrates with Fulfilment by Amazon. KartzHub ensures that you automatically import Orders & ship from FBA with one simple “click”. Our FBA integration accelerates eCommerce order management and fulfillment by helping you pick, process and ship all your online orders from one central location. 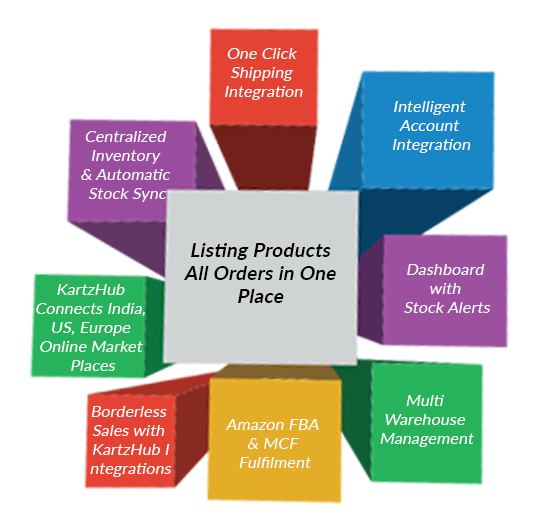 KartzHub’s MultiChannel Product Management Software integrates with multiple warehouses to ship the Orders. Our auto MWM integration accelerates eCommerce order management and fulfillment by helping you pick, process and ship all your online orders from one central location. Our Multichannel Selling Platform has powerful repricer functionality, which integrates with Amazon. In KartzHub, Products at Min, Max and lowest price are only a click away. Our Amazon repricer feature accelerates Orders for Online Sellers.